FINAL DRAFT for iPad is Finally Here! …and it’s only a reader? Hooray (sort of)! 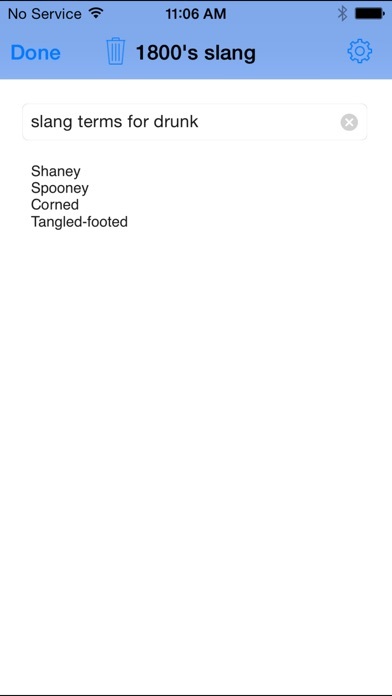 Final Draft is finally coming to the iPad (sort of)! Isn’t that great? Sort of. It’s been the topic of heated discussions since we launched over two years ago. Its progress has been covered at length in multiple HHH articles (see links below). 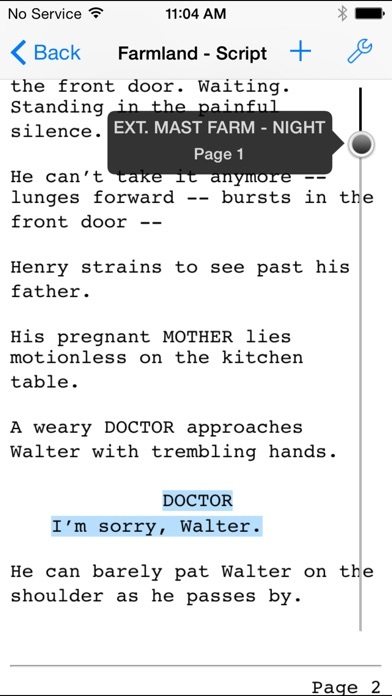 And, it’s easily the most anticipated Screenwriting app ever to come to a mobile device. 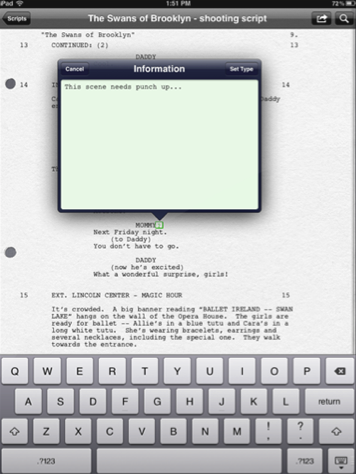 Screenwriters around the world have been waiting for Final Draft to come to the iPad. The good news: Final Draft has finally set a release date for their mobile app (Feb 16th). The bad news: This is not the application we were expecting. In order to integrate with future Final Draft products, we’ve redefined the development roadmap of our Final Draft Mobile app…The Final Draft Mobile app for iOS will augment the overall Final Draft user experience, providing our community a seamless creative work flow between the Final Draft desktop client, Final Draft Mobile, and future Final Draft services. So, while the app isn’t what we were anticipating, it DOES align with what they promised. Therefore, we must judge the app based on its own merits, and not based on what we hoped it would do. So, what does it do? 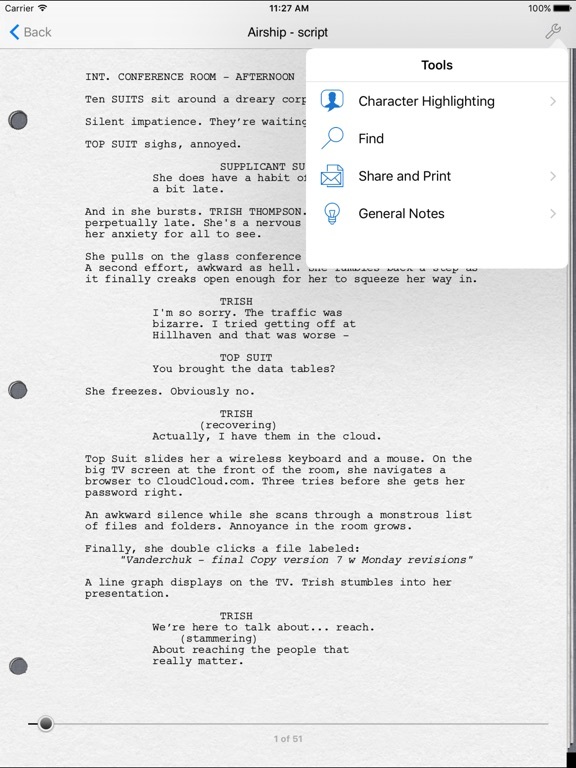 It allows users to review and annotate scripts in the Final Draft format on their iPad. Simple as that. I’ve been using Final Draft Reader (under NDA) for a few weeks now, and I have to say, it works quite well. It’s simple, but solid. I’d go into all the features, but there aren’t that many. Read. Annotate. Share. 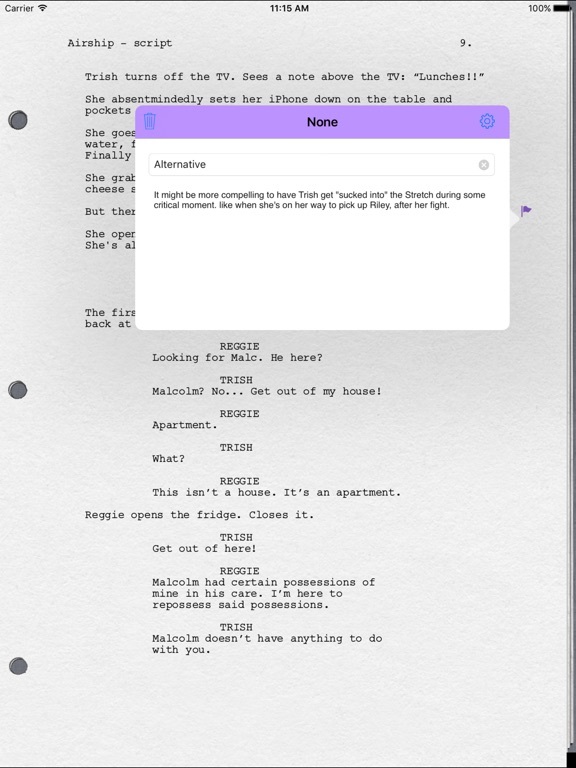 Like no other mobile scriptwriting app available, the Final Draft Reader app displays Final Draft™ scripts on your iPad exactly as they appear on your desktop – perfectly paginated to industry standards. You can effortlessly import your Final Draft version 8 scripts into the Final Draft Reader app to read and annotate anywhere, anytime. Bottom line is this. It’s a good app, but I’m still bummed. It’s the sort of bummed feeling one gets after hearing mountains of rumors about a 3D, brainwave reading iPad that can make coffee and fold laundry, only to watch Apple announce the iPad 2. Yeah, it’s AWESOME… just not what we were expecting. 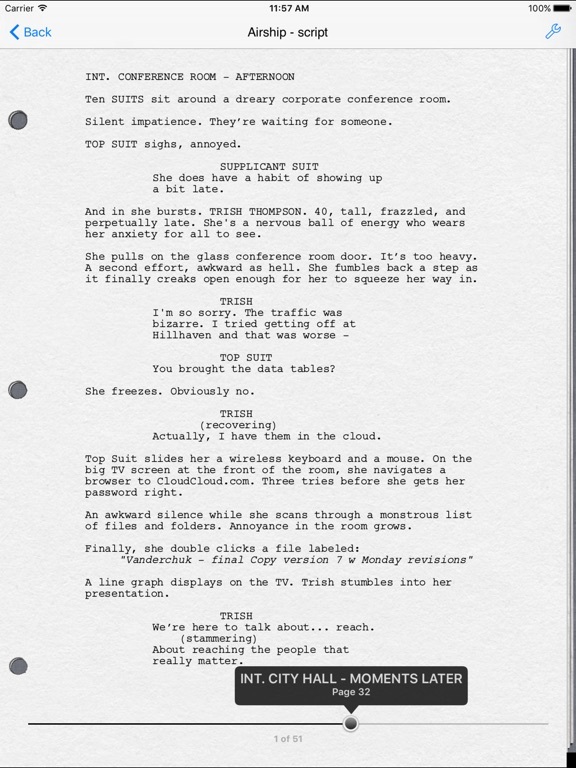 And… there’s always a chance Final Draft will release a screenwriting app down the line. 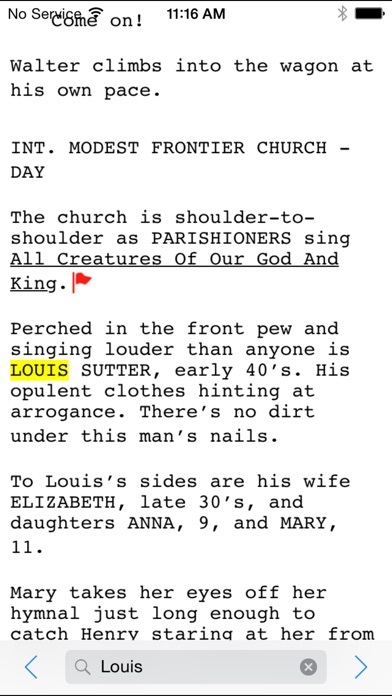 That said, if you’ve been looking for a way to read and annotate screenplays in the Final Draft format, check out Final Draft Reader on Feb 16th. Want the app for free? Final Draft is hosting an app giveaway! Enter here. What do YOU think about this? Are you looking forward to using this app? Share your thoughts in the comments! NOW SUPPORTS THE NEW FINAL DRAFT 10! The makers of Final Draft - the #1-selling screenwriting software in the world - now bring you Final Draft Reader™ for the iPhone & iPad. 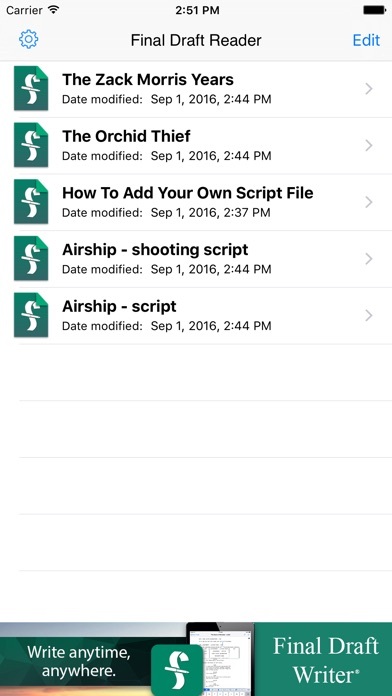 The Final Draft Reader app is perfect for actors, agents, managers, and anyone who wants to read Final Draft scripts on their iPhone & iPad. 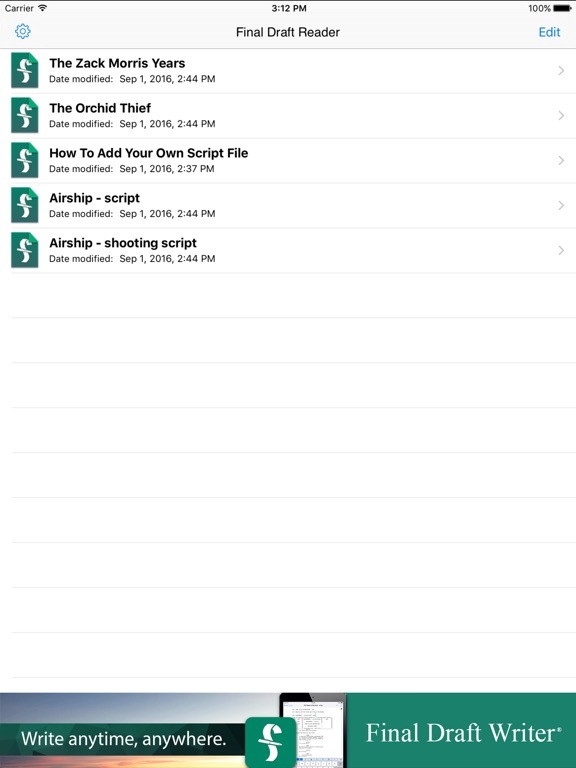 Easily open your Final Draft 10 (FDX) scripts in the Final Draft Reader app to read and make notes on the go, anytime, anywhere. 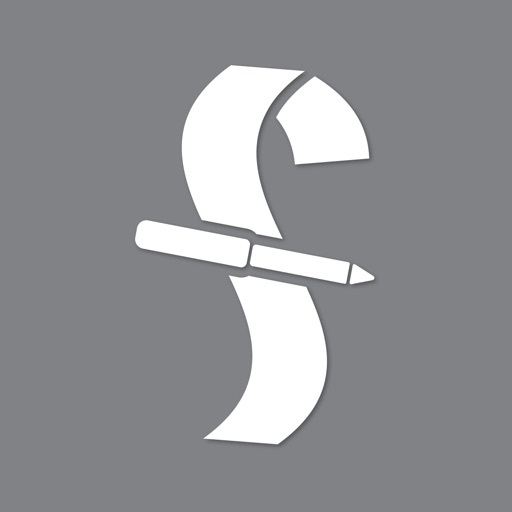 If you want to write and edit on the go, then check out the Final Draft Writer app for the iPad. *Precisely displays production scripts, including colored production pages, locked pages, scene numbering, and more! *Preserves new Final Draft 9 data such as Non-Speaking Characters, Cast List Options, Character Arc Beats, and more! Here’s one additional thought. The best use for Final Draft Reader might be on set, receiving colored revision pages digitally. Could be helpful I suppose… but then again, when I’m directing, I like folding the day’s pages, and jamming them in my back pocket.